It is said the origin of this popular tradition lies in religion. It was believed that the trees contained spirits and Gods, so people brought them offerings. Emperor Saga of the Heian Period adapted this custom and he started holding flower-viewing parties in the Imperial Court in Kyoto. 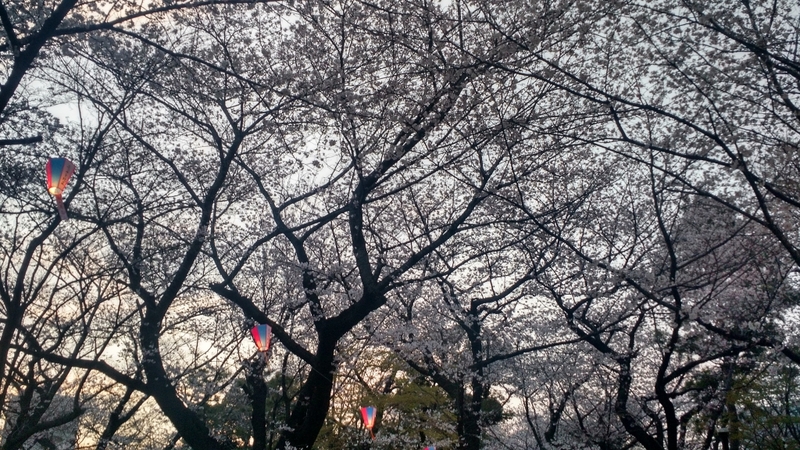 The first hanami of the season came a little early, only a few of the trees in Yoyogi Park, Tokyo, had bloomed. The yearly sakura forecast (yes, that’s a thing) said that the flowers wouldn’t be in full bloom until five days later, but I went anyway. Why? Well, because the sakura only last around one week, and of course I didn’t want to miss any chance to see them. 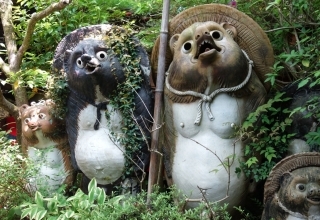 Their short life-span is one of the reasons they are so popular in Japan, as it represents that beauty is fleeting and all things must end. However, for me it was rather a source of stress. I felt like I was going “sakura-hunting”, trying to make the most of this very short period of time. In spite of my eagerness, that day I didn’t see many flowers. 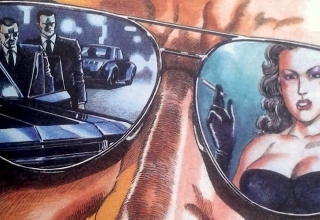 What I did see were a lot of people. A lot. 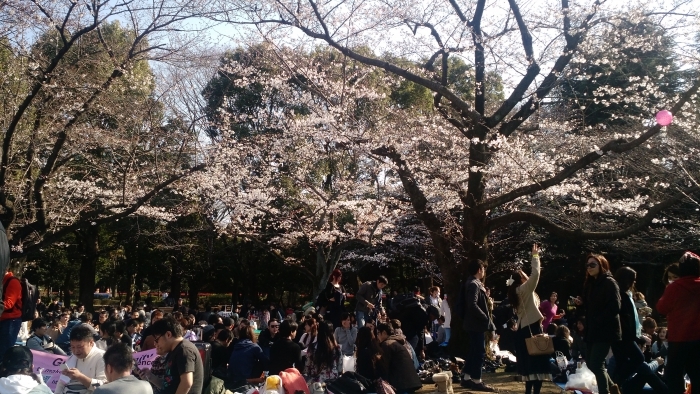 I greatly underestimated how popular hanami is. 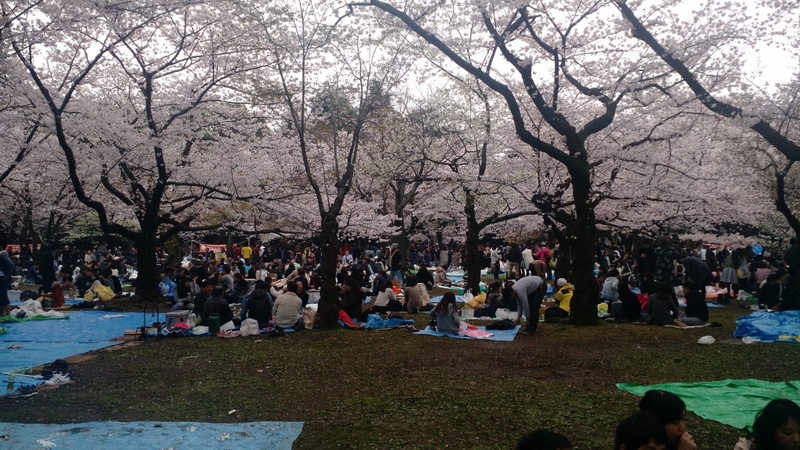 The park’s sakura area was completely covered in the blue mats I mentioned before, which can be bought in any supermarket or convenience store (known as コンビニ conbini in Japan). Groups of friends and company employees get organized to send someone as early as eight o’clock in the morning to save the spot. You can actually see some of the biggest mats completely empty, waiting for their owners to arrive. The group of friends I went with was quite casual, so everyone brought some drinks and snacks to share while sitting on the ground (having left the shoes outside the mat, of course). 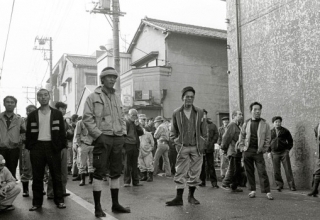 But in some of the other groups, especially of company employees, the level of organization was quite higher. One of them even brought squared cardboard pieces and cardboard boxes to act as seats and tables, and ordered huge sushi plates to eat. I did this three times that week. One of them at night! 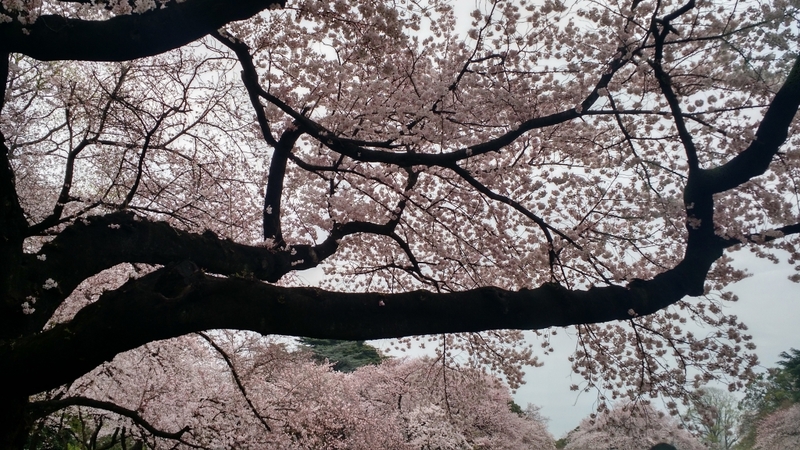 Some of the most popular hanami spots illuminate the sakura in the evening, and since the weather is already a bit warmer, a lot of people go there after work. Maybe because it was a different park (Asukayama, instead of Yoyogi), the atmosphere was a bit different than during the day. There were a lot of people but it didn’t feel as overcrowded. It reminded me of a summer’s solstice celebration (although a bit colder): everyone drinking and having fun in a relaxed way, without the stress of the masses that gather during daytime. But I didn’t just go to party under the sakura. 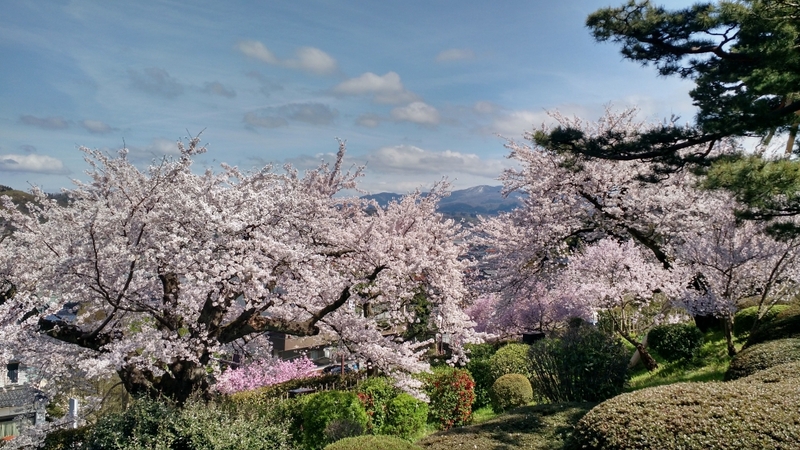 I also tried to visit as many recommended spots for sakura-viewing as I could. 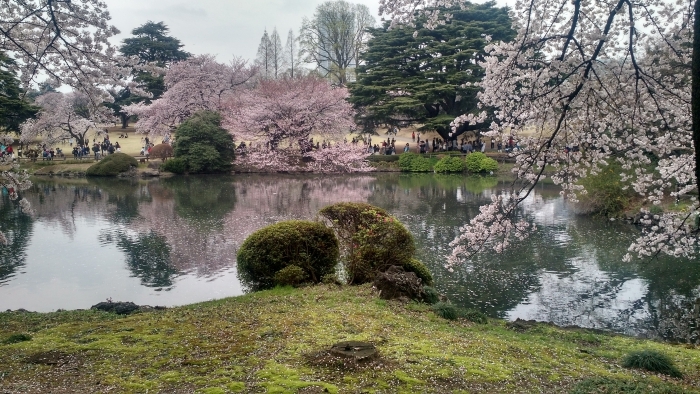 The season started in Tokyo, where I visited Shinjuku Gyoen, Chidorigafuchi (the moats of the former Edo castle) and Sumida Park, next to the Sumida River. 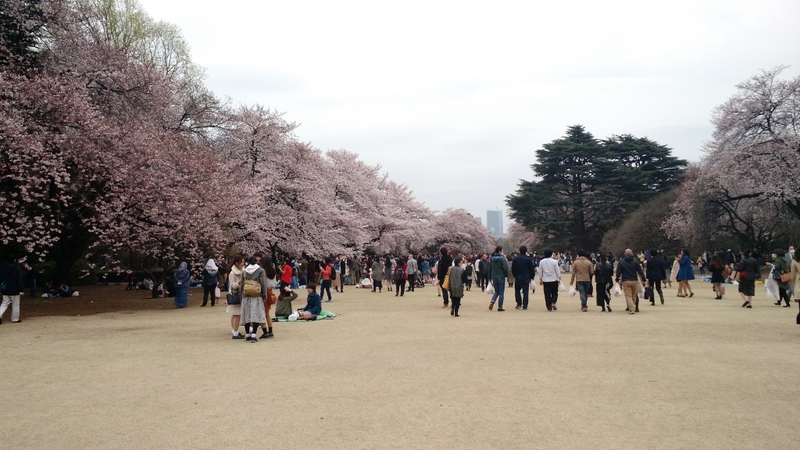 In addition to Yoyogi Park and Asukayama Park, where I did hanami. 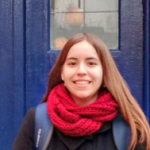 Unfortunately, the weather wasn’t too good that week, but I managed to take some nice pictures nonetheless. 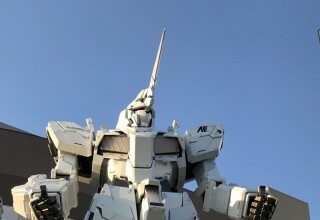 The following week I went to Kanazawa, next to the Japan Alps, nort-west from Tokyo. Since sakura bloom at different times depending on the region’s climate, over there I got a second chance at sakura-viewing. This time I could finally enjoy good weather, and the sakura with a blue sky behind them. 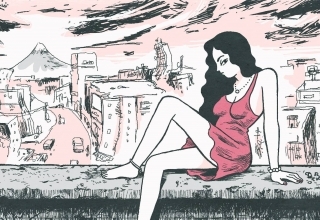 The contrast was much more impressive than against the white cloudy sky I had seen in Tokyo. 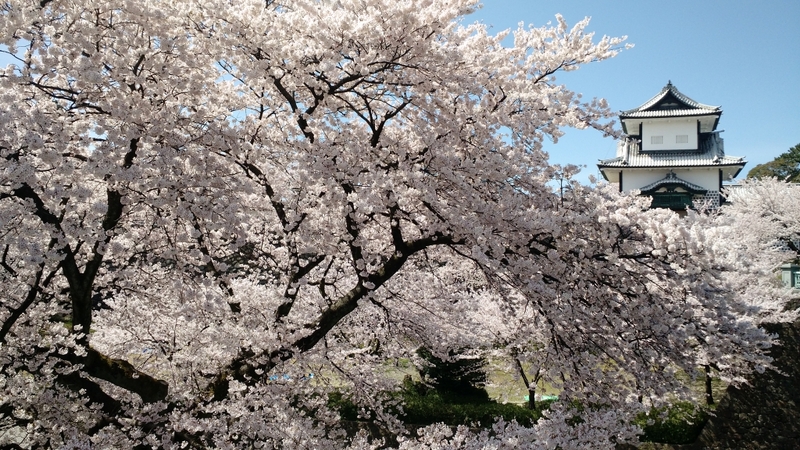 In addition, only that week, the Kenrokuen garden and the Kanazawa Castle Park opened at night for everyone to enjoy the illuminated sakura trees. 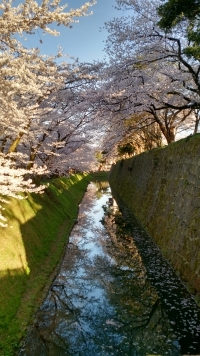 Old castle moat, Kanazawa Castle Park, Kanazawa (left). 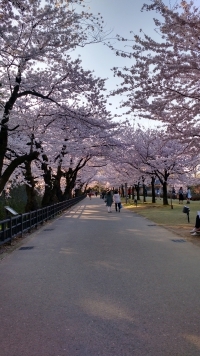 Kanazawa Castle Park (center). 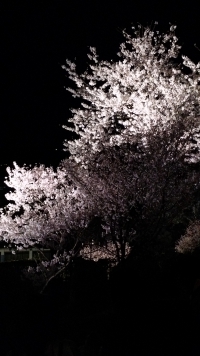 Illuminated sakura, Kenrokuen Garden, Kanazawa (right). 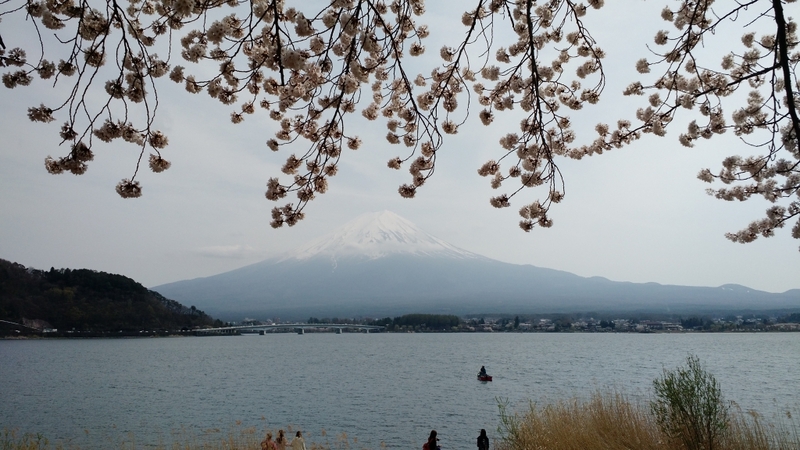 Not content with this, I decided to visit the Fuji Five Lakes region two weeks later, to try and see the famous image of the sakura with Mt. Fuji in the background. I didn’t get my hopes very high, as Mt. Fuji is often covered in clouds, and that’s how it was the whole morning I was there. Luckily, that changed in the afternoon. The clouds cleared up revealing one of the most beautiful scenes I have ever seen. Mt. Fuji on its own is already impressive, a perfectly symmetrical cone standing all alone, as if watching over the whole region, with its iconic snow-covered peak. 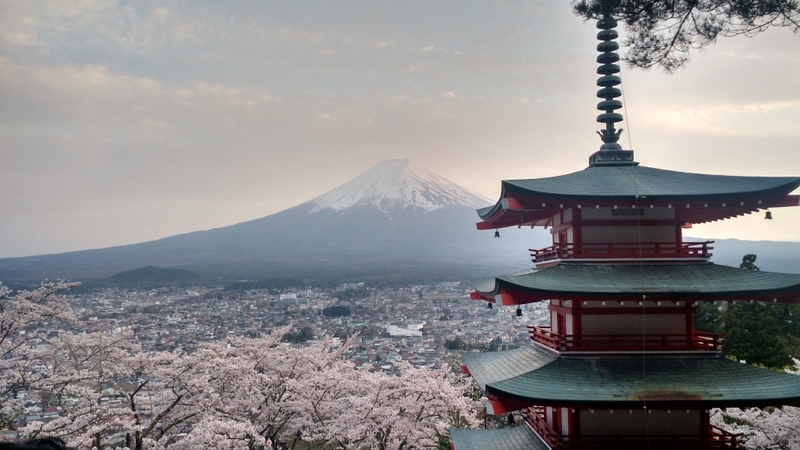 When you see it you really understand why it’s considered a sacred mountain and the symbol of Japan. And with the sakura in front of it, the picture was just sublime. In addition to the view from the lake, in the evening I climbed to the Chureido Pagoda, from where you can see such a typical postcard that the spot was full of professional photographers. 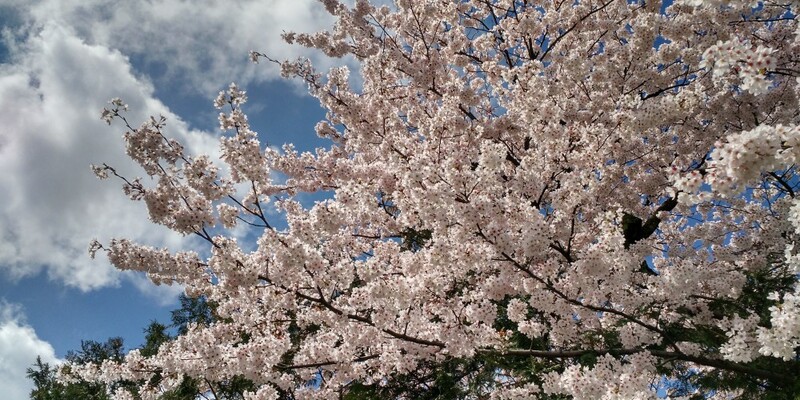 After all this, I think I can say that I have truly enjoyed the sakura season as much as possible. But since there is no such thing as too much sakura, if all goes well, I’ll get another chance to see these flowers in Hokkaido, at the beginning of May, when spring reaches the northernmost island of Japan.